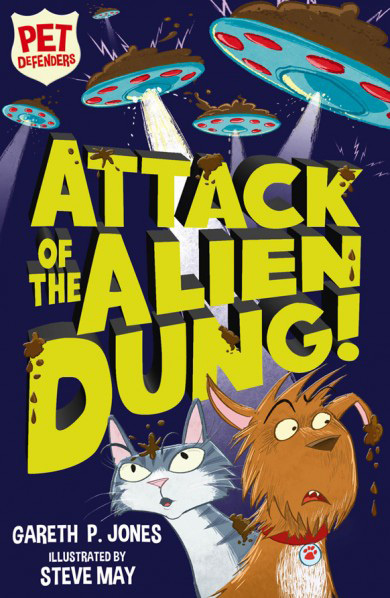 Steve May: Attack of the Alien Dung! 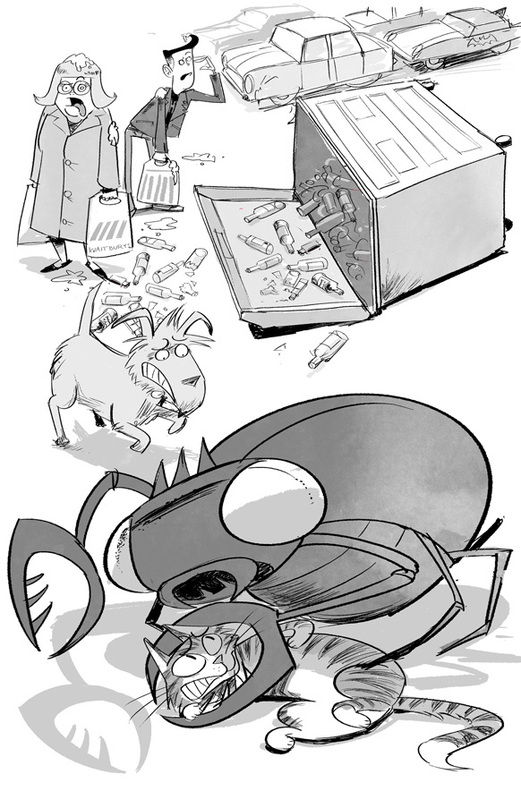 Steve May’s hilarious illustrations for Gareth P. Jones’ latest comic caper, Attack of the Alien Dung, are the perfect fit for this action-packed adventure about animal secret agents, published by Stripes. This is the first in the series titled Pet Defenders about a secret society of domestic animals whose job is to keep the Earth safe from aliens, in this case a cluster of cow pats which have flown into town and are whipping up quite a stink!